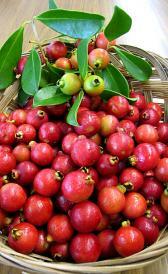 Raw strawberry guavas: Raw strawberry guavas is low in protein, total lipid and total sugars. Cooked guava sauce: This food has a low quantiti of food energy, protein and total lipid but has a high quantity of vitamin c.
Raw jackfruit: In this food there are some nutrients that are found in low quantity, for example protein, total lipid and iron. Raw (jambolan) java-plum: In food has a low quantity of protein, total lipid and ash. Raw jujube: This food is low in protein, total lipid and total dietary fiber but Raw jujube has vitamin c in high quantity. Dried jujube: This food has a low quantiti of total lipid, total dietary fiber and total sugars but has a high quantity of carbohydrate. Raw green kiwifruit: High in vitamin c and low in protein, total lipid and iron. Raw kumquats: Raw kumquats is high vitamin c. On the other hand. is low in protein, total lipid and phosphorus. Raw lemons without peel: This food is low in food energy, protein and total lipid but Raw lemons without peel has vitamin c in high quantity. Raw lemon juice: Raw lemon juice is low in food energy, protein and total lipid. 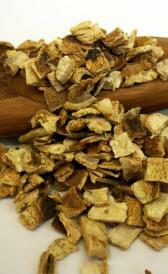 Raw lemon peel: High in total dietary fiber and vitamin c and low in protein, total lipid and phosphorus. Raw limes: In this food there are some nutrients that are found in low quantity, for example food energy, protein and total lipid. Raw lime juice: In food has a low quantity of food energy, protein and total lipid. Raw litchis: High in vitamin c and low in protein, total lipid and ash. Dried litchis: Dried litchis is high carbohydrate, total sugars and potassium. On the other hand. is low in total lipid, sodium and zinc. Frozen loganberries: Frozen loganberries is low in protein, total lipid and phosphorus. Raw longans: High in vitamin c and low in protein, total lipid and total sugars. Dried longans: Dried longans is high carbohydrate, potassium and copper. On the other hand. is low in total lipid, total dietary fiber and total sugars. Raw loquats: In this food there are some nutrients that are found in low quantity, for example protein, total lipid and total sugars. Raw (mamey) mammy-apple: In food has a low quantity of protein, total lipid and ash. 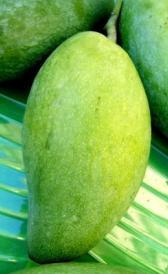 Raw mangos: Raw mangos is low in protein, total lipid and ash. Raw cantaloupe melons: Raw cantaloupe melons is high vitamin a and beta-carotene. On the other hand. is low in food energy, protein and total lipid. Raw casaba melons: In this food there are some nutrients that are found in low quantity, for example food energy, protein and total lipid. Raw honeydew melons: In food has a low quantity of food energy, protein and total lipid. Frozen melon balls: Frozen melon balls is low in food energy, protein and total lipid. Raw mulberries: In food has a low quantity of food energy, protein and total lipid. Raw nectarines: Raw nectarines is low in food energy, protein and total lipid. Raw oheloberries: In this food there are some nutrients that are found in low quantity, for example food energy, protein and total lipid. Raw navel oranges: This food is low in protein, total lipid and ash but Raw navel oranges has vitamin c in high quantity. Florida raw oranges: This food has a low quantiti of protein, total lipid and ash but has a high quantity of vitamin c.